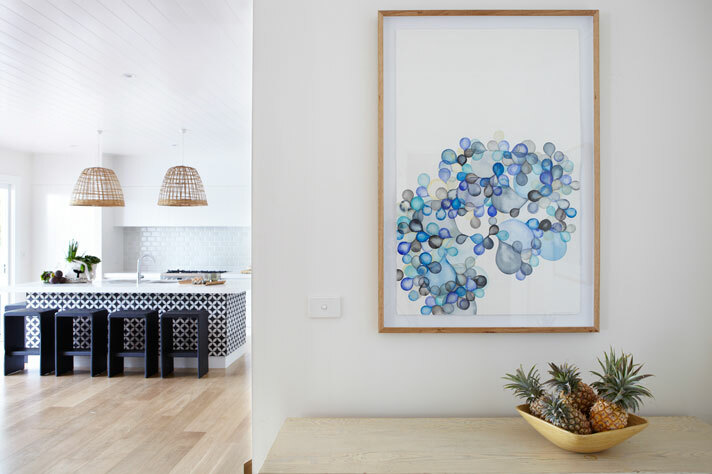 Art plays a big role throughout the property with graphic prints in blues and greens. Even a wooden bowl filled with pineapples makes a tropical statement. 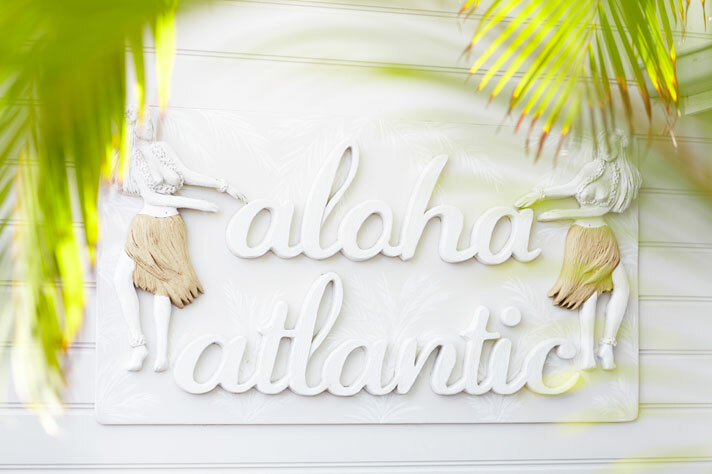 The simple white guest room features an ode to Old Hawaii with its breezy tropical pillows. 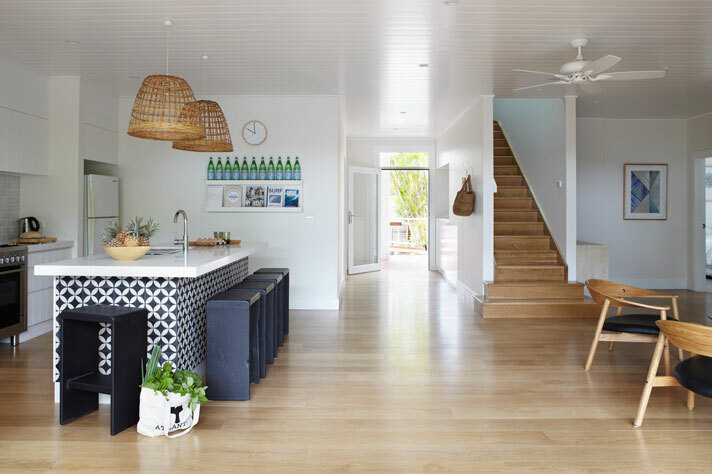 The central theme of bright white is punctuated with simple modern furniture and tropical foliage. 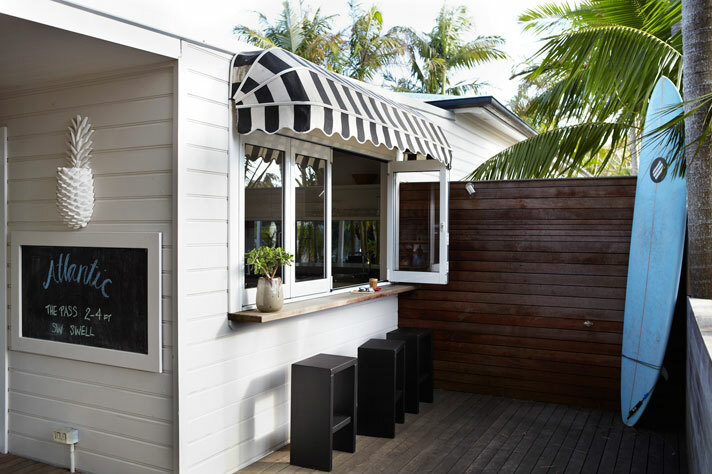 Accordian-style doors lead to a patio for dining alfresco. 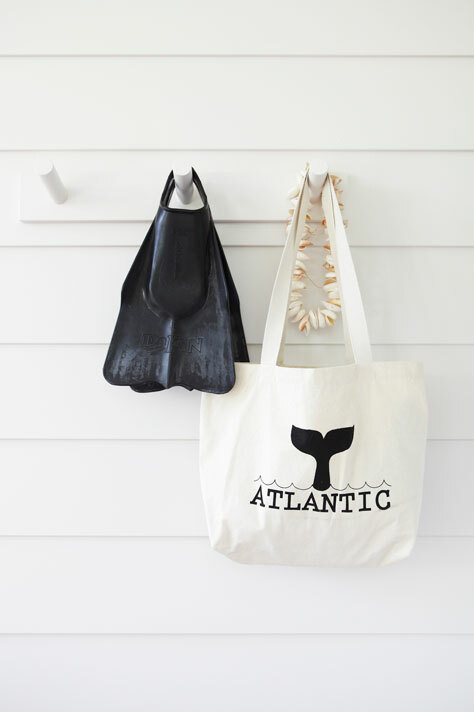 Swim fins, a shell necklace and a beach bag add to the sophisticated casualness of the Atlantic. 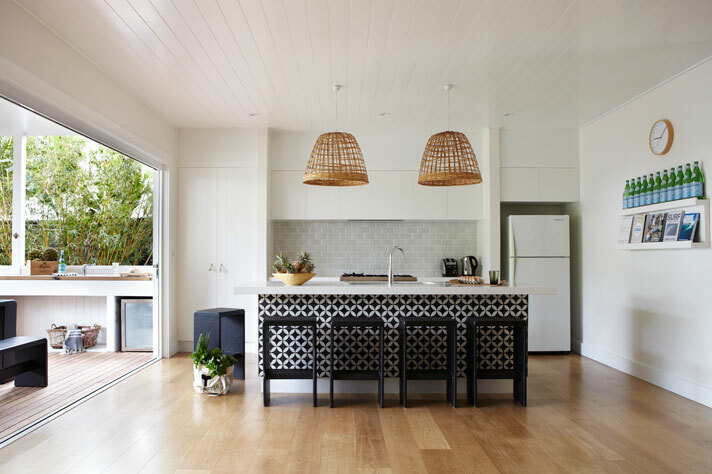 The kitchen’s island has a modern, graphic design and hanging woven pendants. 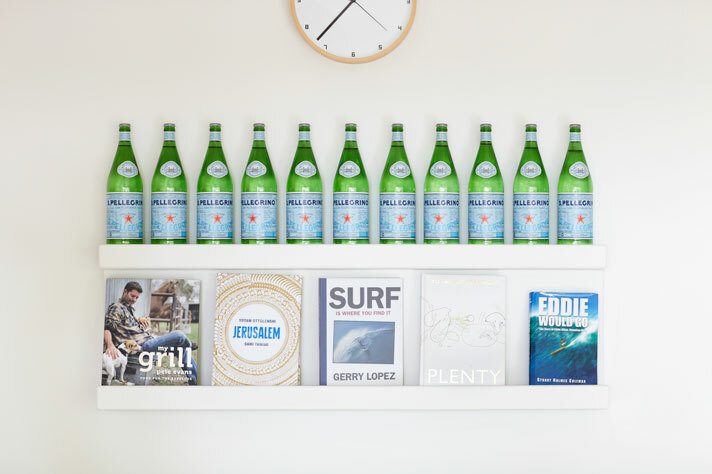 A focal point is an artistic display of Pelligrino water. The patio off of one of the rooms has a cabana striped awning. 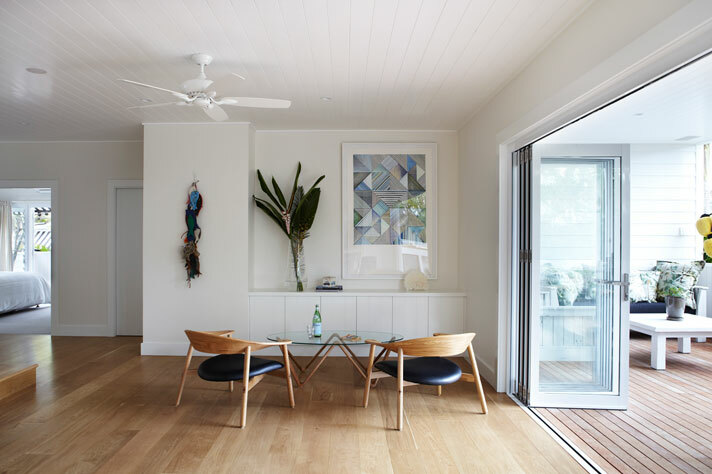 A pale blue surfboard adds to the charm. 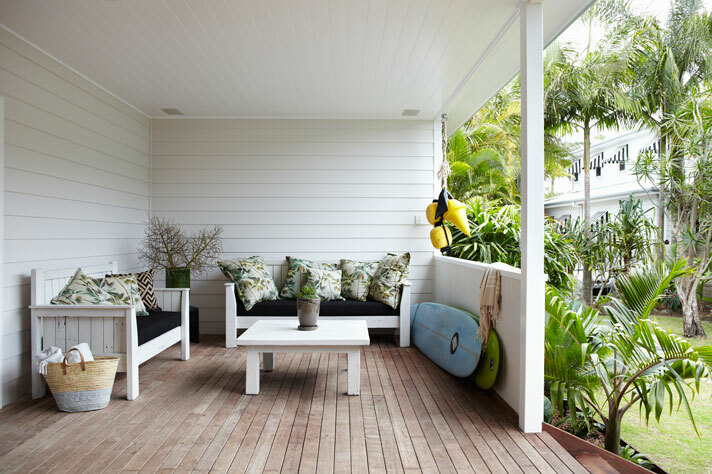 White washed furniture mixed with colorful pillows grace the bottom floor patio. 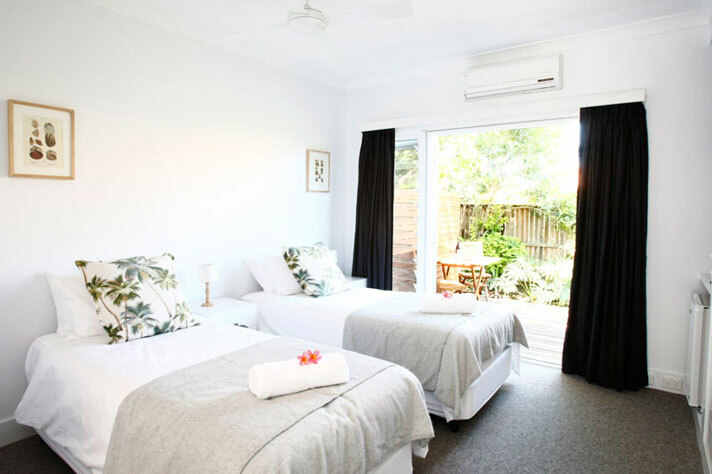 Byron Bay has no shortage of eclectic boutiques and eateries. The city hosts a surf festival in October, spring in Australia.